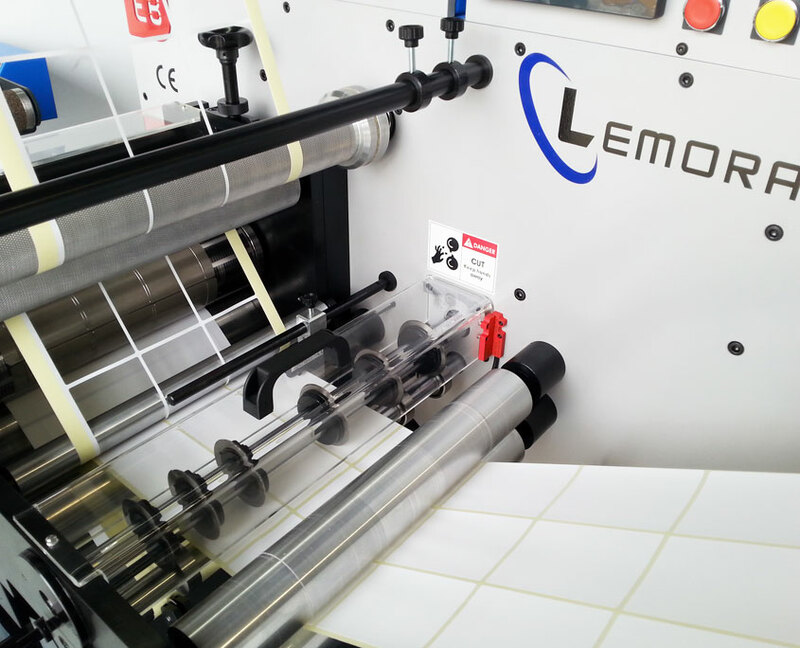 Lemorau EB die cutting machine is an extremely efficient and precise machine built for high volume production of blank labels. 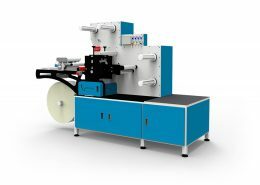 Each rewinder, unwind and waste matrix removal rewinder tensions are fully independent and adjustable on the touch screen panel. 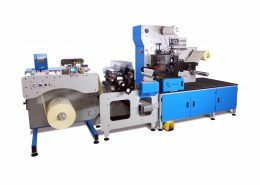 Once the tension is selected and set, there is no need for the operator to readjust the tensions. 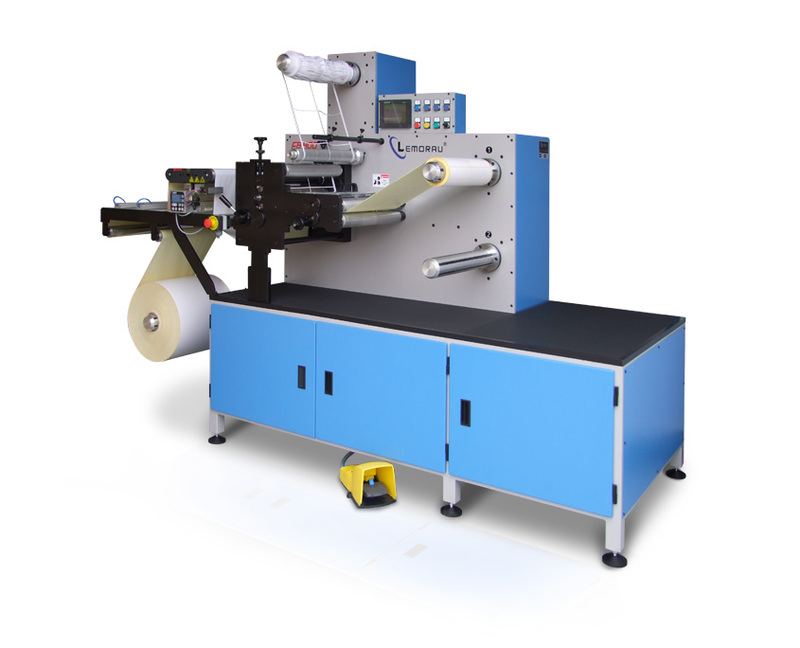 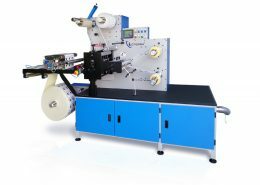 EB is able to produce roll to roll labels as well as roll to sheet labels. 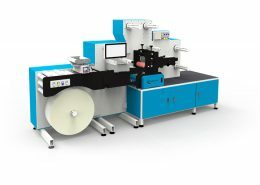 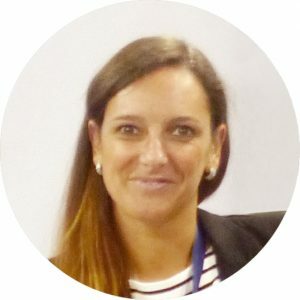 It is a very sturdy machine combined with the latest high technology. 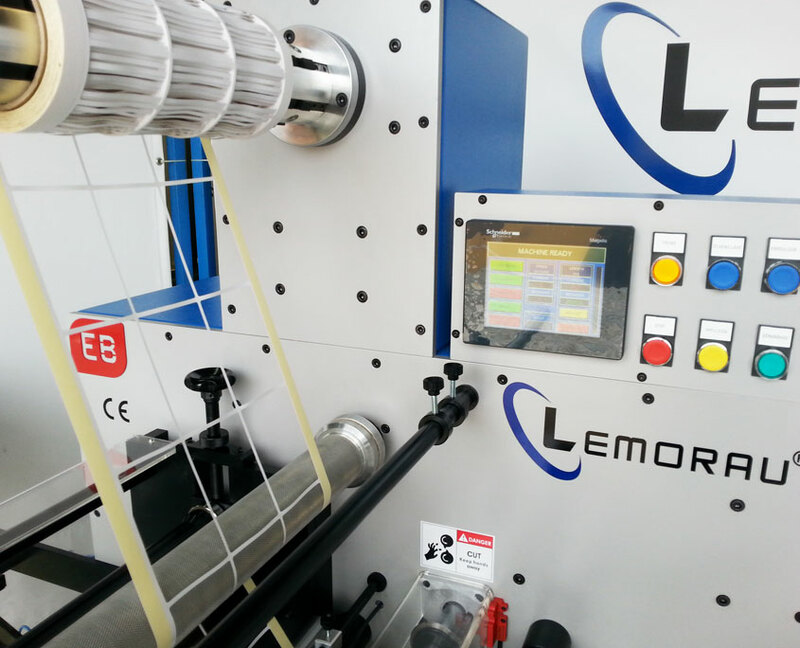 Lemorau EB has a very high work speed and produces excellent quality of finished rolls.